This reading is in Spanish and written for first year students. 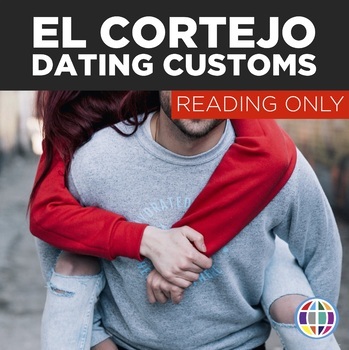 It compares and contrasts traditional dating customs (courtship) in the United States and Spanish speaking countries. 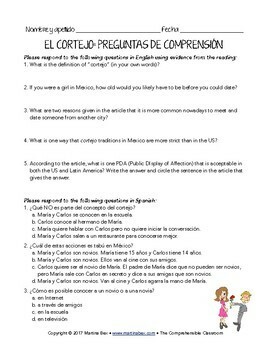 Comprehension questions and personalized questions for class discussion are included. An enlarged, projectable version of the reading is also included. DO NOT PURCHASE THIS READING IF YOU FOLLOW THE SOMOS CURRICULUM. 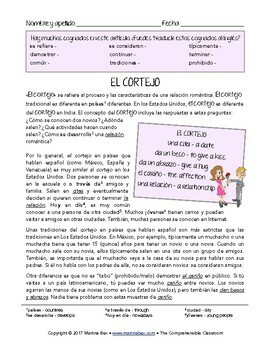 It is included in Unit 12 of the SOMOS curriculum for Spanish 1.